And then there is my favorite line of all that I say with the utmost love and affection. Men are more likely to ask for directions than they are to ask for medical help. Every one of these health issues can be prevented or minimized with regular exercise & physical activity. I specify exercise AND physical activity. Unfortunately, many men tend to be weekend warriors – good exercise on the weekend, or playing a sport once or twice a week, but then are sedentary for the remainder of the week. There will be a series of articles forthcoming – each one going far more in depth on each of these top ten causes of death. In this article, I would like to just briefly discuss the pivotal role of exercise in prevention and recovery plus mention one other men’s crisis that is largely attributable to the deconditioned state. Exercise helps to correct posture, stretch tight muscles and strengthens the core, and is a great way to get rid of a beer belly! Muscle tone and core strength support the back and prevent or dramatically reduce pain. If back pain already exists, consult with a health care professional for guidance. The American Heart Association states that more than one in three adult men have some form of cardiovascular disease. And, if you had high blood pressure and you are on medication for high blood pressure and it has successfully lowered your blood pressure… you do not get a get out of jail for free card. Hypertension is still a concern. High blood pressure affects the arteries, heart, kidneys, brain eyes, sexual function, bone loss, sleep apnea – and succinctly put – it is a menace to all aspects of health. Those with high blood pressure need to abide by certain guidelines for strength training. Again, always better to work with a medical fitness professional. All aspects of exercise are necessary for controlling blood pressure – cardio respiratory, strength, stretching, and more meditative forms of exercise, far too often forgotten, are very beneficial. And gentlemen, next article I promise as it is just that important, erectile dysfunction. ED is a beacon of attention for heart disease. A recent MedLine survey revealed that solid evidence points to the possibility that hypertension is actually a significant risk factor for cancer. At least seven prospective studies have demonstrated clearly that hypertension is a risk factor. We rarely see high blood pressure listed as a risk factor for cancer. Here on the Medical Fitness Network I already have articles on cancer prevention and cancer recovery with exercise…please refer. Exercise is associated with lowering the risk of most cancers by as much as 40%. The power of exercise in cancer prevention and cancer recovery is multi faceted. But again, where cancer already exists, I strongly advise people work with a fitness professional specifically trained in cancer exercise training. Here on MFN you can find a reputable Cancer Exercise Specialist. There are definite guidelines for cancer exercise that must be respected. 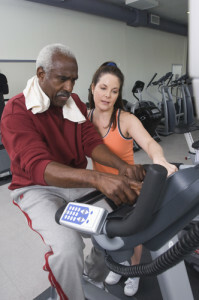 Exercise should be prescribed for stroke survivors. Exercise prescriptions could significantly reduce disability and the risk of recurrent stroke in survivors who also may face other barriers such as fatigue and depression. Both cardio respiratory and strength training are very important in diabetes prevention and management. It’s our beautiful muscles that transport glucose from our bloodstream to the muscles needing less insulin. Muscles are like a pump, pushing glucose into muscle where it can be used as fuel instead of circulating in high levels in the blood. MUSCLE… “not just cause they are so pretty! The National Institute of Mental Health (NIMH) estimate that at least 6 million men suffer from depressive disorders, including suicidal thoughts, annually. According to a number of our respected health organizations, exercise is greatly beneficial to those suffering from mood disturbances, anxiety, stress, depression for a number of reasons including feel-good brain chemicals – neurotransmitters, endorphins and endocannabinoids. High blood pressure and diabetes are the 2 leading causes of kidney disease, so we can refer back to the stellar respect that exercise earns in control and prevention of diabetes and blood pressure. A February 2016 study out of the University of Missouri Medical School found that cardio respiratory exercise may protect the liver against alcohol-related inflammation and injury. The CDC states alcohol use is responsible for more than 80,000 deaths in the United States each year. 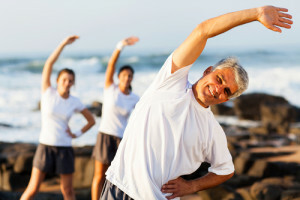 Exercise protects the liver by management/prevention of obesity, diabesity, cirrhosis of the liver from fat and alcohol. 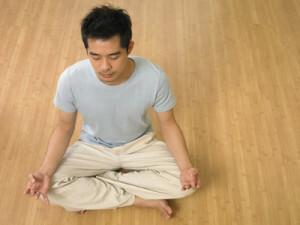 For those with liver disease, depression can be an added burden, and exercise is recommended here as well. A study out of the University of Haifa, Israel showed resistance training to be very successful for liver health. Results showed that resistance training led to a decrease in liver fat as detected by ultrasound testing. My point of passion in all areas of health education… oxidative stress. Suffice it to say here that oxidative stress is thought to be at the root cause of most of our chronic illnesses, physiological and psychological. The right exercise is vital for reduction of inflammation and oxidative stress. We all know smoking and alcohol are hazardous to our health. Here, let’s acknowledge that exercise and regular physical activity are fabulous partners in stop smoking programs and those to reduce alcohol consumption. As extensive as this article seems, it’s really not even a warm up as we call it in the fitness world. There is much we know about exercise for prevention and recovery from disease, and even more we don’t know yet. And I will always add this proviso: if ever there is presence of disease from metabolic syndrome, cancer, liver disease, I urge people to seek the guidance of a medical fitness specialist. There are specific guidelines that must be respected, certain forms of exercise are more successful with specific issues, and of course exercise programs must be approved by the patient’s health care professionals. So men, even if you think you don’t have the time for exercise, or having a “6 pack” is not important to you, it’s not about that. Yes, the beautiful outer facade of our bodies is a brilliant reward for exercise. But exercise is healing and repairing the damage we do to our bodies every day. The real magic of exercise is in the cell.